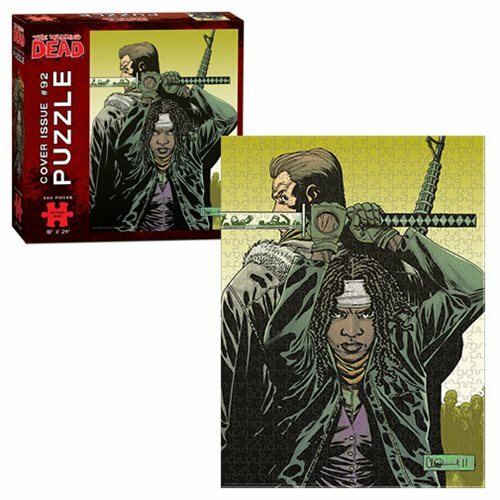 Put together this puzzle featuring the sword-wielding Michonne! This puzzle is from The Walking Dead comic issue 92, and features Michonne with her sword at the read in the foreground with Abraham in the background. For ages 13 and up. 550-piece puzzle measures 24-inches tall x 18-inches wide when complete.